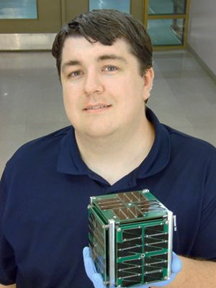 Jeremy Straub, director of the OpenOrbiter Small Spacecraft Development Initiative at the University of North Dakota. Successful manufacturing of low-cost smallsats will make the building of a satellite by anyone that's interested in doing so much easier to accomplish... that's one of the reasons behind Jacksonville State University alumnus Jeremy Straub's work in spearheading the design and launch of new satellite. Jeremy is the director of the OpenOrbiter Small Spacecraft Development Initiative at the University of North Dakota, and the project is nearly finished, according to The Anniston Star's writer, Patrick, McCreless. Through the project, Straub and his team of students hope to show that space can be made more accessible with functional, relatively low-cost satellites. He graduated from Jacksonville State University in 2011 with a master's degree in computer systems and software design. Over the last four years while completing his doctorate in scientific computing, which he finished in May at UND, Straub has overseen the satellite project. He has been involved in nearly every aspect of the project, from making certain critical satellite components are ordered to coordinating the build with NASA. As part of the OpenOrbiter program, which Straub founded, he mentors freshmen and graduate students who designed and built the components for the satellite. The OpenOrbiter Small Spacecraft Development Initiative. 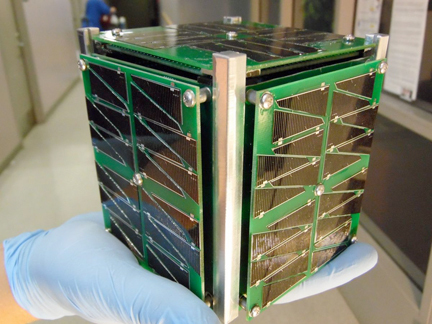 The cube-shaped smallsat, which weighs just a few pounds and fits in the palm of a hand, would cost upwards of $50,000 using standard, component parts. Straub said he and his students managed to reduce the price to around $3,000 using mainly less-expensive consumer parts. “We didn’t really buy anything made for satellites other than solar panels that were designed for space,” Straub said. “We really challenged a lot of design assumptions of what makes spacecraft so expensive.” He added that such a satellite would not have been possible even10 years ago if it were not for higher power consumer electronics miniaturization bring down the costs. In addition to proving the viability of the design, the satellite will also be used to determine whether 3-D printing, a technique of making three-dimensional solid objects from digital files, can be performed in the cold vacuum of space. The satellite contains a small 3-D printer for testing, Straub said, something that’s never been done before as far anyone knows. He added that some 3-D printing has been completed on the International Space Station (ISS), but that’s been climate controlled. The satellite will be turned over to NASA in October for safety checks to ensure the hardships of space travel can be handled by the craft. If approved, the satellite will be launched to the ISS in December, then deployed into Low Earth Orbit (LEO) early in 2017, where the smallsat will remain in a decaying orbit for several months, sending and receiving signals, before falling back into the Earth’s atmosphere. 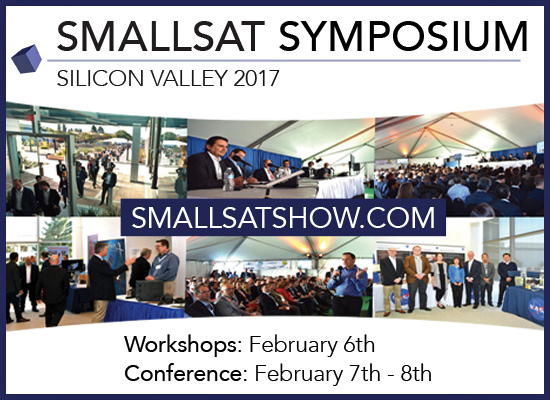 The SmallSat Symposium will unlock the business aspects, technologies and the financial and legal acumen that comprise the foundation of today’s rapid growth in the small satellite market. A broad range of thought-provoking panels and speakers representing visionary ideas and years of business experience are brought together once again. You’ve designed your satellites, met with financing sources and launch providers and are ready to move forward with your innovative system and business plan. However, do you have your FCC authorizations or NOAA licenses? Are you in compliance with export control or ITAR regulations? Will you first seek an FCC experimental license as a proof of concept? Have you planned sufficient time to obtain the necessary regulatory authorizations before your scheduled launch? Have you considered that FCC satellite application fees may cost up to $450,000 and require the posting of a performance bond in the millions of dollars? The ITU (International Telecommunications Union) has multiple regulations and resolutions that need adherence. 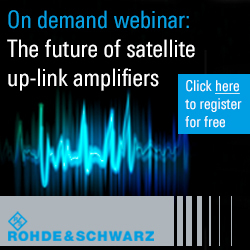 Do you have questions regarding spectrum requirements, telemetry, tracking and command requirements, current practices and procedures, orbital debris matters or other ITU regulations? Join Tony who will lead this informal workshop designed to address basic regulatory issues encountered by smallsat startups and best practices to deal with them. Tony is an experienced satellite practitioner and has assisted a number of smallsat companies in navigating the regulatory environment and successfully deploying their systems. The use of components for military, space and smallsat electronics is examined in detail. COTS providers are finding a new role in space and terrestrial hardware as small satellites have emerged. How are manufactures working with these COTS providers and how are COTS providers adapting to new demands? The DoD emphasis on using commercial components led to the discovery that many of these components are not suitable for military and space systems. What becomes necessary is costly testing, uprating, up-screening and protection from temperature extremes and radiation levels. Some of the newer designs, materials and quality will not successfully operate in the space or military environment. Examined are the efforts being expended to assure that performance is adequate. This workshop will be the most comprehensive summary and will address what are the successful practices for the use of COTS components in military, space and smallsat systems. What do smallsat solutions bring to the market place, which applications are being developed, how do the new constellations intend to monetize etc? Is there the potential for market disruption, or will the new actors create a different part of the business? From agriculture & mining to traffic observation, mapping & weather, small satellites provide an opportunity to observe our planet in considerable detail. High resolution and high accuracy data provide a range of solutions to meet the immediate needs of emergency responders. This changes the nature of civil protection as well as aid in disaster recovery in harsh environments and remote locations. In how many ways can Geospatial Data be presented and be useful? Who are the important customers and what are their primary concerns and requirements? The focus will be on how data is received, then improved in post-processing to meet standards. There will be demos on the latest in change detection algorithms and how to manipulate this information in the context of “Big Data” analytics. The world’s resources are becoming more valuable as populations grow, and hence there is a need for timely and accurate information about the type, quantity, and extent of available resources worldwide. Allocating and managing the world’s resources requires accurate knowledge about the distribution of these resources. To effectively plan farming, mining, roads, emergency response, weather prediction, improve the habitat of all species and plan future cities amongst other needs we need to have accurate geographic information systems (GIS). Numerous large-area, multiple image-based possibilities exist and small satellites are ideally suited to provide fast accurate data on an almost real time basis. The objective of this workshop is to review and assess general spatial resolution satellite remote sensing and to cover classification approaches. The goal is to also identify the best techniques that are available, and what is in development in order to implement analysis. We will examine the economies involved in gathering this data and what the market will pay for the information.